“Wood in process” is a design experiment of a Dutch collective of designers called Envisions. They find ways to transform materials and offer new design solutions. The motto of the group is that experimentation leads to innovation. Their research was presented last year at Milan’s week of design which focused on presenting design discoveries rather than on finished designs. It has been realized thanks to the cooperation with the Spanish firm, Finsa which produces wood-replacement materials, medium density fibreboard (MDF) and chipboards. The collective, composed of design students from the Design Academy in Eindhoven, note: “Although it functions only as a rich conceptual field, the preliminary stage of production of products has unlimited possibilities and deserves all the attention”. The collective examines the possibilities of the artistic product, which is underestimated and rarely explored in the industry. Each of the 12 members of the collective was invited to visit Finsa’s factories to find potential new uses for their various materials, as well as materials produced during production. Presented materials were photographed and used by Walt Disney for making animation. The main idea of the Envisions group is that team work is ahead of the individual. They want to expand and create better communication between designers, clients and manufacturers; which they do with their presentations and exhibitions. Visiting an art museum can be exhausting. You walk through galleries to see the grates of past times and admire, but… would it be even better if all those characters hang on the walls could move and speak… and what story would they tell? Probably disappointed by a museum visits, James Kerr let his imagination run free and found a way to give these characters a voice. When he started posting digital collages on Tumblr in 2012 under pseudonym Scorpion Dagger, he wasn’t aware that this hobby would bring him fame. The GIFs he makes are inspired by Italian and Northern European Renaissance art. The characters of these paintings are put into different context, usually resembling everyday life of 70s and 80s. One of his favourite characters is Maarten Nieuwenhove portrayed by Hans Memling, but also Adam and Eve, Jesus Christ, Mary, apostles and others. He makes biblical narrative prosaic and appears to be cynical about the whole thing. It also seems that his GIFs are a humorous critique of today’s consumer society. James Kerr did some animations for Jim Jarmusch’s recent film, Gimme Danger about punk group Iggy Pop and The Stoogies. The director was missing some biographical scenes for the movie Kerr’s so digital animation compensated. Kerr puts effort in to promoting his art and encouraging young artists. He published a book of collages which become GIF with use of AR application. Also he is a curator of online galleries of digital art. Some of this work could be seen in asa nisi masa online galleries’ virtual exhibition STOP AND GO. We may assume that Scorpion Dagger is exploring the boundaries between high art and digital collages, questioning the use of GIF as art by mixing it with high art. He certainly is a part of modern visual culture, but…will it ever be considered high art? The Louvre in Paris is a world-renowned institution – but not everyone has access to it. 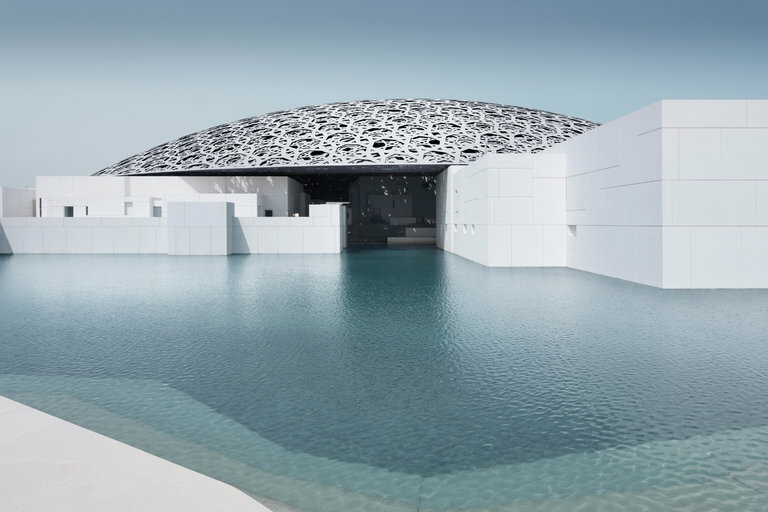 Although the internet has given people access to thousands of works of art, Abu Dhabi has set up a collaboration with the Louvre, aptly entitled the Louvre Abu Dhabi. The exhibition will open in November. Some works of art will be in Abu Dhabi for a short amount of time, while some will be on display for longer. The Louvre, along with other French institutions like the Centre Pompidou, Bibliothèque Nationale and Musée du Quai Branly will loan works of art. “This is not a museum that will stay the same for 10 years and it’s not a museum that will change completely like an exhibition – it’s somewhere in between and I think that is interesting,” Agence France-Muséum’s scientific director, Jean-François Charnier, said to The National. Leonardo da Vinci’s La Belle Ferronnière, Claude Monet’s La gare Saint-Lazare, and Jacques-Louis David’s Napoleon Crossing the Alps are among the paintings on loan. Dealing with these works of art will be no simple task – especially paintings by da Vinci, which are part of a five painting collection in the Louvre. Although moving these paintings while maintaining their museum condition will be difficult, Charnier said the priceless paintings will be one of the things that defines the Louvre Abu Dhabi. 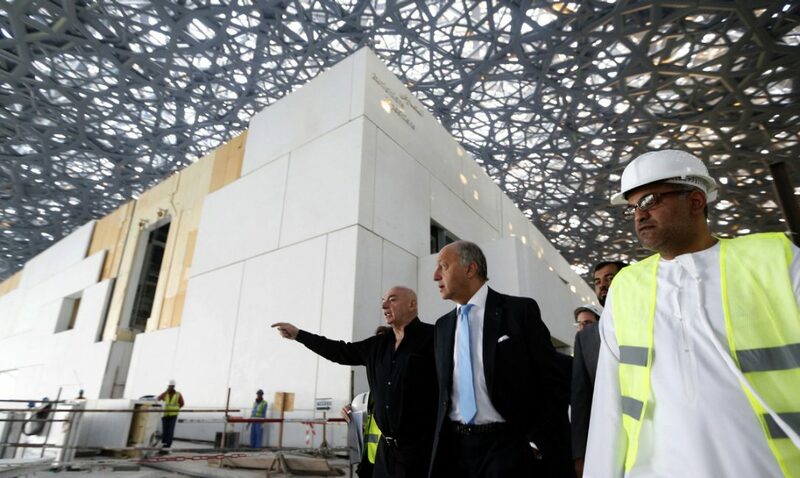 “We are not working on totally permanent galleries, they are semi-permanent galleries where the changes will be important year-on-year [and] this mobility, this flexibility, this volatility is a key element of the identity of Louvre Abu Dhabi,” Charnier said.